Unique ‘one-of-a-kind’ garments, designed and handmade in store. 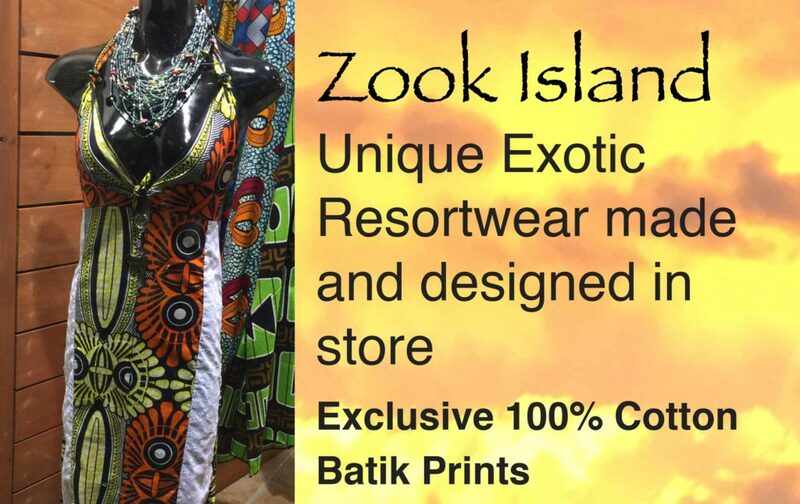 We use quality 100% cotton Batik fabric to create our one-of-a-kind original designs. Our garments are then embellished with charms and jewellery pieces to ensure that each garment is as unique as you are! All materials are ethically sourced and machine washable. Charms are designed to reflect the wildlife of Reef and Rainforest. Selection of styles and sizes 8-18 and we offer a ‘made to order’ service – your choice of design and fabric. We post Australia wide.